I was delighted in December of 1997 when my brother sent a Christmas card he made featuring the sonogram of their unborn first child wearing a Santa Claus hat. All these years later, that child is learning to drive a stick shift and tons of people sends sonogram Christmas cards with little cartoon hats pasted on with a simple app. 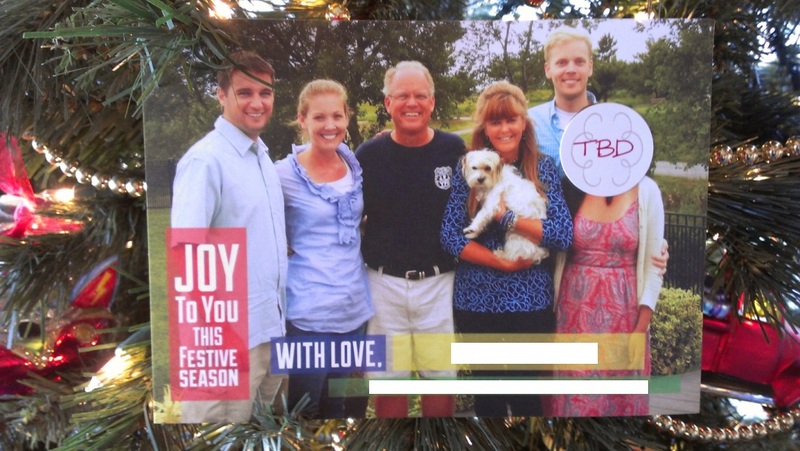 But people are still pushing the envelope when it comes to personalized family Christmas cards. Some are funny just because they are awkward or unattractive, but the pictures I selected are very intentional in their strangeness. And these only represent a small sampling of the crazy Christmas cards people make. Reddit has a great collection of personalized cards, but they are submitted separately and can be hard to find if you miss them. This one was submitted just yesterday by thejohnblog with the caption "My friends' Christmas cards get more and more epic each year. I don't know how they'll top this one." 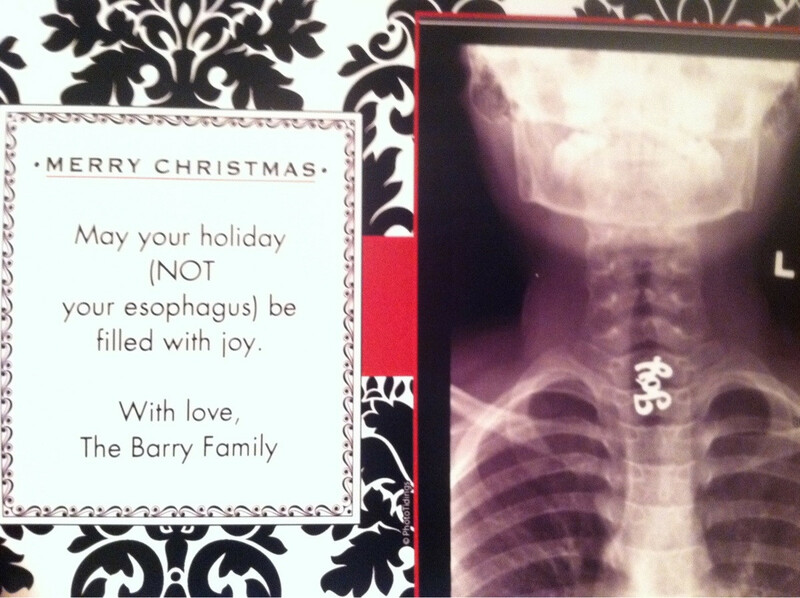 A few years ago, the Barrys' young daughter swallowed a holiday pin and had to have minor surgery to extract it. She's fine now. 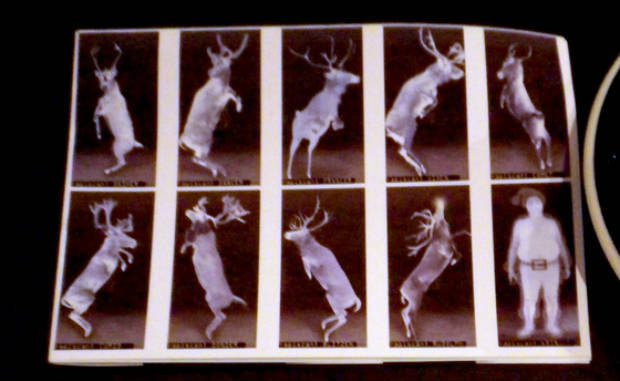 The x-ray made an awesome card, submitted by a redditor who has since deleted their account. 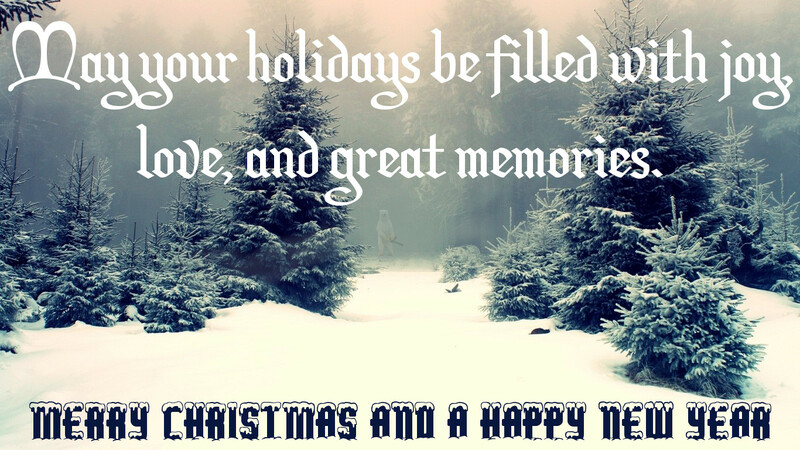 LastNameRusk pulled a picture out of his past from a Christmas card photo session. 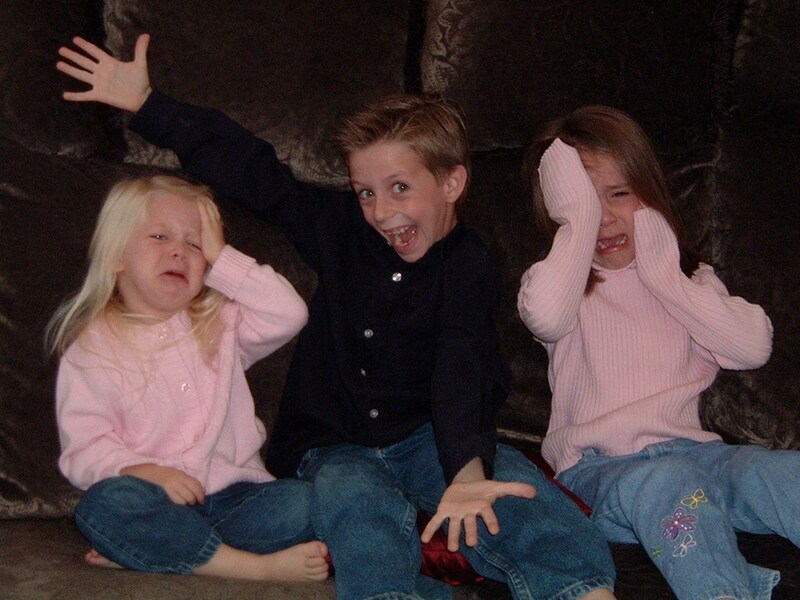 His sisters were fighting, so he bashed their heads together and then went all innocent when the camera snapped. He was seven years old at the time. He did not say for sure whether this was the picture that the cards were made with -but we hope it was. 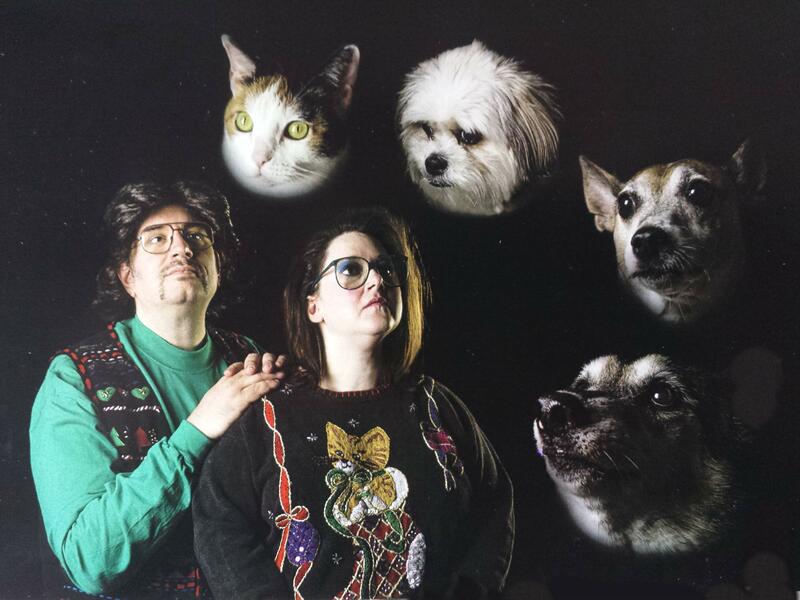 Redditor bdunks's parents took a family group photo and printed up 200 Christmas cards. Then he and his girlfriend (who was in the picture) broke up, so he did what he had to do to before they were mailed out. 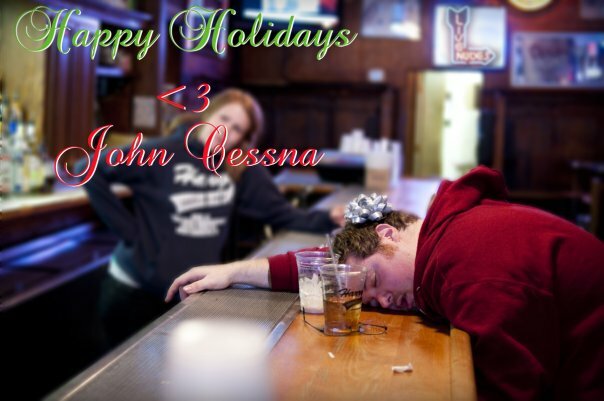 His mother told him to sober up and send his own Christmas cards. So John Cessna did just that. The picture shown is from 2009, but you can see five years of homemade cards in the gallery. Redditor tpthatsme showed eight years worth of Christmas cards featuring his children growing up with their father's sense of Photoshoppery humor. He also posted a "making-of" video for each card. 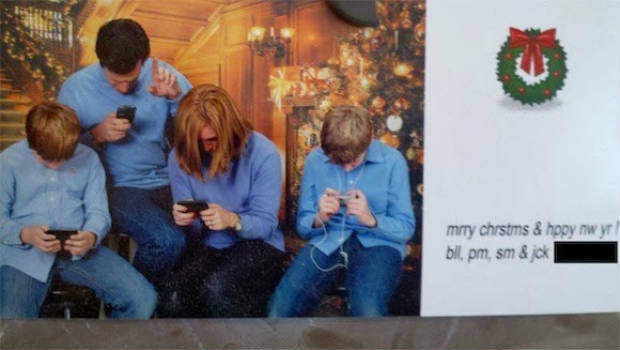 This family card, which dates back to at least 2011, is both realistic and modern. You occasionally see groups who look just like this, don't you? Maybe in your own living room! 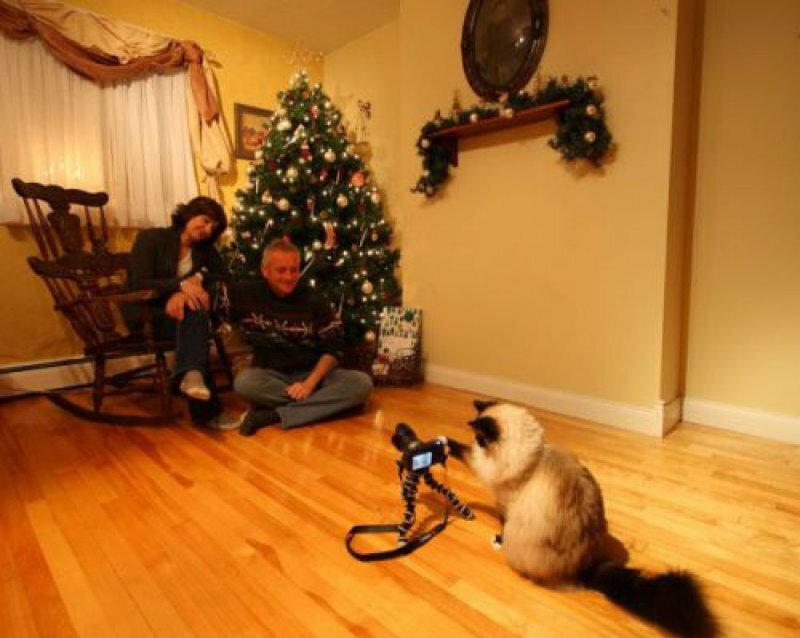 The cat took the Christmas portrait. We can prove it. Eric Mueller and Ramona Ponce sent out Christmas cards that emulated the look of an airport scanner -with Santa and his reindeer! Photograph from Cory Doctorow's Flickr stream. Redditor Drixislove has a new baby this year. 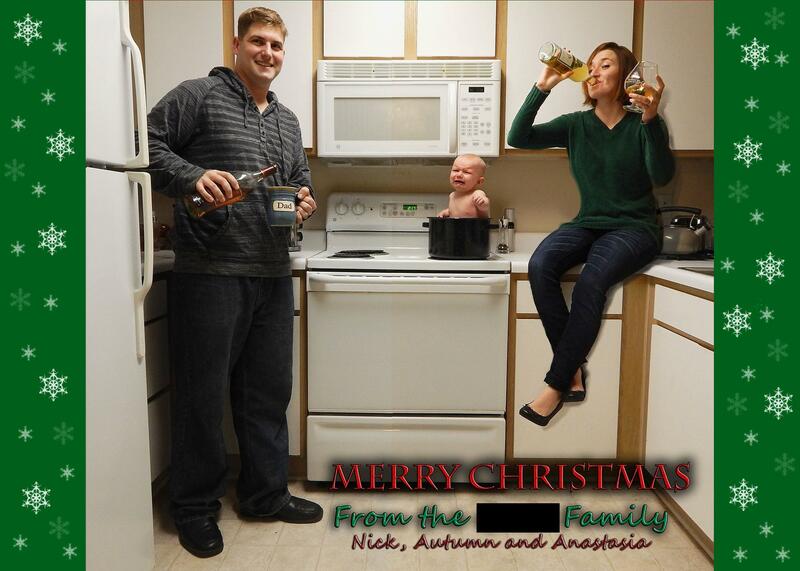 Her family encouraged her and her husband to make a personal Christmas card, so they acquiesced and sent this one out. She said they would either get the joke or call CPS. 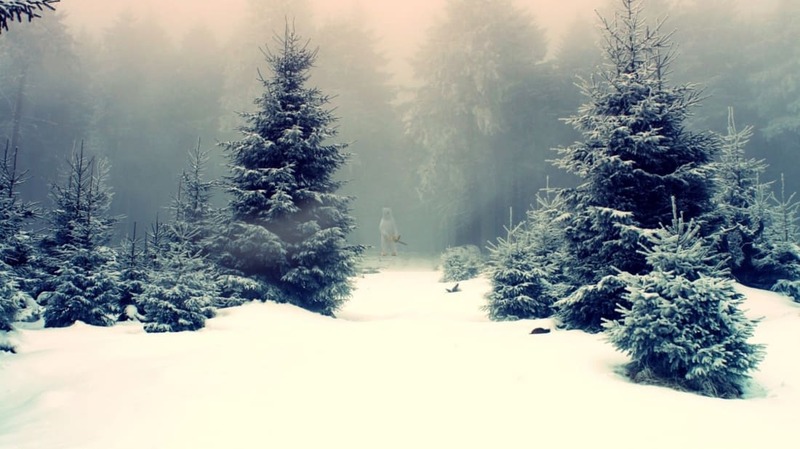 This is actually three photographs merged with editing magic. This picture, posted by redditor daveaspen, was taken for a friend's Christmas card. At least part of it was taken for a card; some of it was Hollywood. 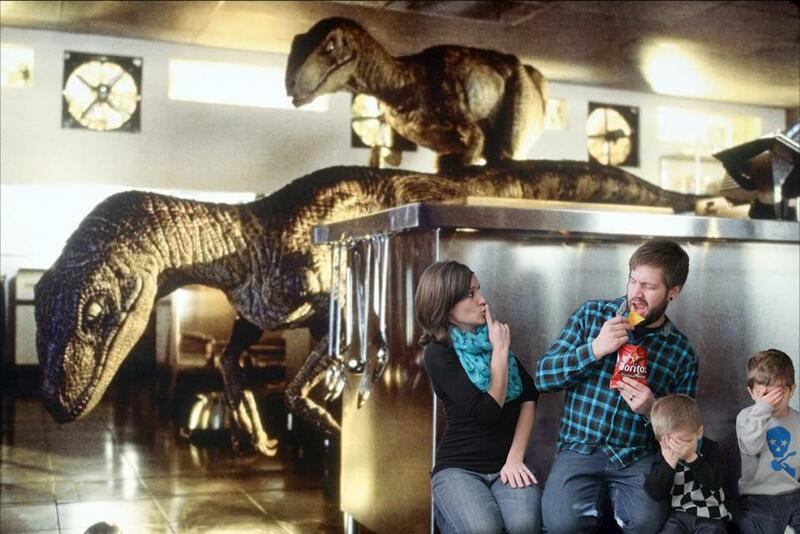 Don't crunch that Dorito! Redditor xitrox68W went the artistic route for his Christmas card this year. You may have to study it, or look at the enlarged version, to see what makes it so special. He thinks his family might not even notice! This list only scratches the surface of the clever and funny cards people are able to make with the aid of digital imaging and home printers. We may post more before the season is done!